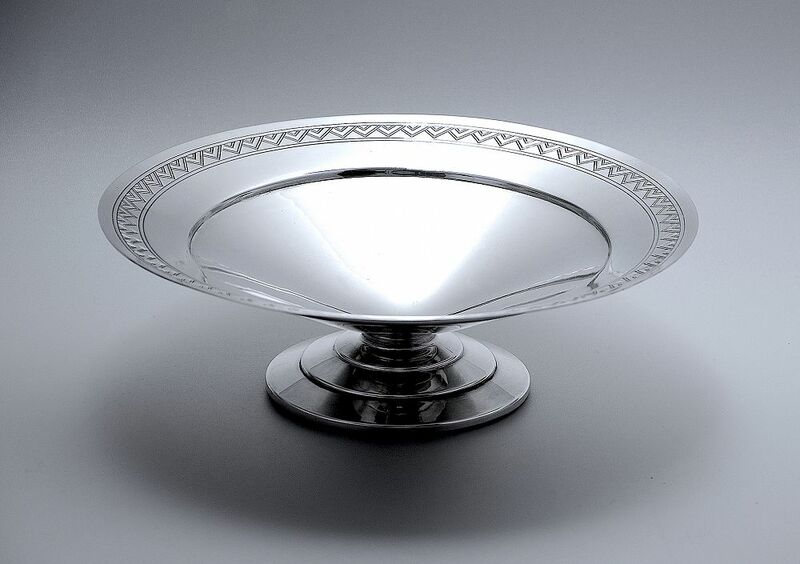 This beautiful Art Deco silver plated tazza was designed by Keith Murray for Mappin & Webb. The 3 tiered foot leads to the slightly concave top that has a border of incised geometric patterns. 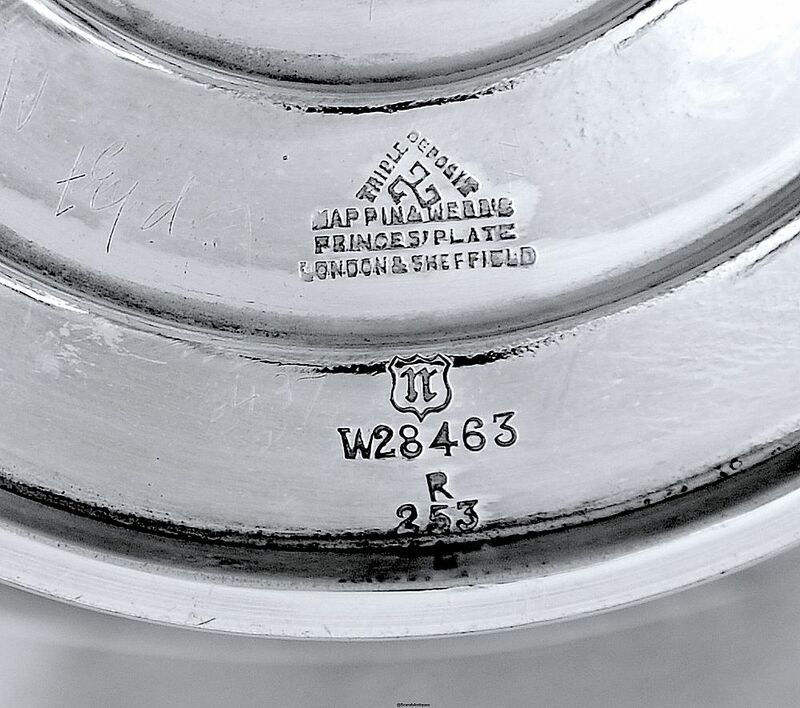 The base is signed "Triple Deposit" with the triskelion emblem beneath, " Mappin & Webb's Prince's Plate London & Sheffield", the letter "N" in a shield shaped cartouche and "W28463 R253". This would grace any table today.